This title presents the findings of the Policing for London project, an independent investigation into policing in London in the wake of the death of Stephen Lawrence and the subsequent MacPherson Report. The main aim of the project was to identify the factors the police in London needed to consider in order to deliver an equitable and effective service to the people of London in the 21st century. The book sets out the findings of this project in terms of what Londoners wanted and needed for their policing, whether the Metropolitan Police was aware of the public's expectations, whether they met these expectations, and to examine how policing in London could be improved in the future. It also identifies a number of key policy issues in the light of its findings - for example in relation to the centralisation or devolution of decision making, specialisation of function, performance management, policing philosophies and partnership, and the need to regain the confidence of ethnic minority groups. 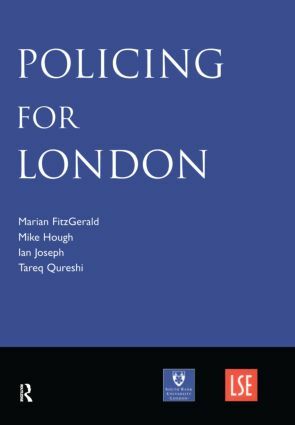 In identifying the key issues facing policing in London this book provides a vital blueprint for addressing the question of police reform in the country as a whole - at a time of intense debate and concern about the future role of the police.